My friend Orangekathy recently did me a huge favor by watching Bug while Nick was out here on his visit. In return, she wanted me to host a dye day at my house. We were able to get that done this weekend. O’Kathy had 11 skeins of yarn to dye, and I had some fiber. 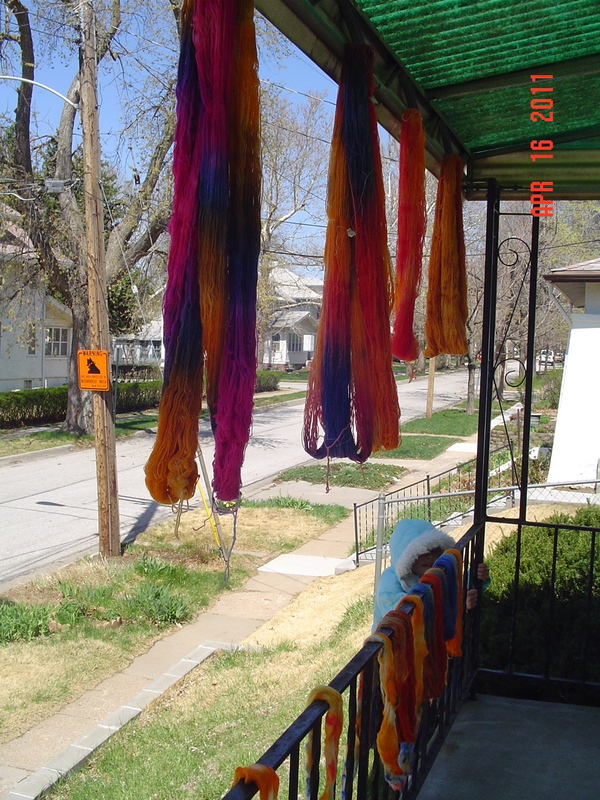 We started early, and really O’Kathy did most of the dyeing. We took everything out to the porch once we were done so we could take pictures even though it was terribly cold. OrangeKathy lived up to her name. I lived up to her name too. 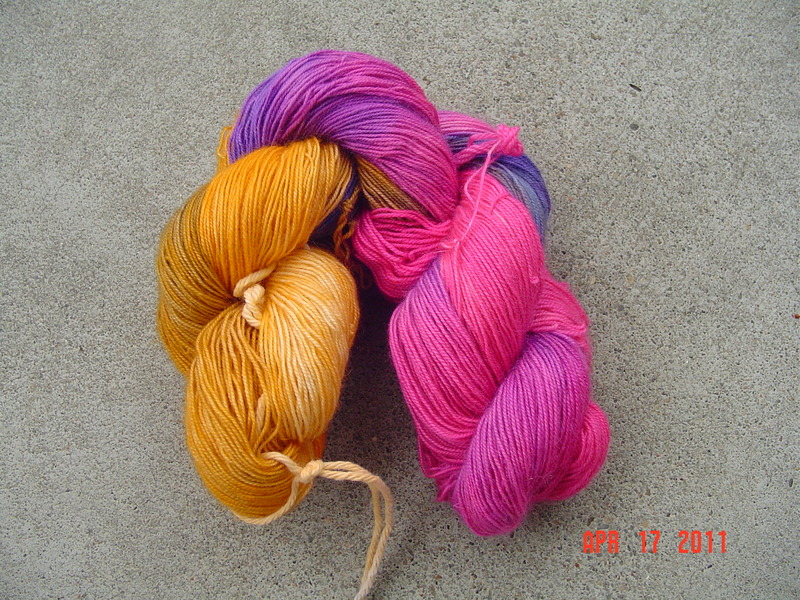 In the end, I fell in love with one of her yarns, and offered to spin some merino that I dyed in return for a skein. I just loved the way this moved from blue to purple to pink! All in all, a sucessful dye day. 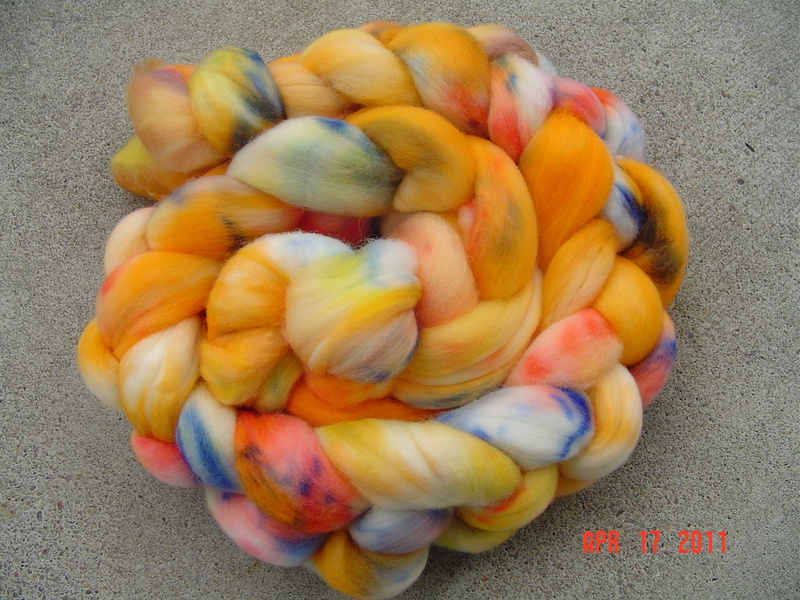 I have a total of 2 pounds of undyed fiber, so I am going to need my own dye day, but what I really wanted to work on yesterday was my fleece. I’ve got pictures of that for tomorrow!